It is not until I have baby Elin that I started paying attention to what I eat. And when baby Elin started solid food, all I wanted was to give her the finest, the freshest, and the best food possible. 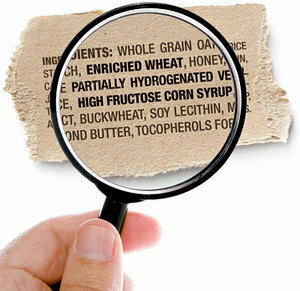 And I started to read ingredient labels more closely. What do I find there most of the time? HCFS in breakfast cereal? Artificial colorings in boxed mac and cheese? Preservatives and MSG is most processed sauces? Hmm.. Was I surprised? Actually not. I knew about this. I learned this in nutrition class in school. But I buy them and eat them regularly. Why? I was ignorant. I wasn't overweight or had a serious illness so I didn't find it "wrong" to consume them - they are convenient and taste so good! But very soon after I began studying nutrition, I was convicted that everything in this world belongs to God, including my body. - Stop eating processed and packaged foods. - Read ingredient labels (Do you know that blueberry muffins may not have real blueberries in them?). Don't eat it if you can't read it. - Eat out less and choose food wisely when you do eat out. 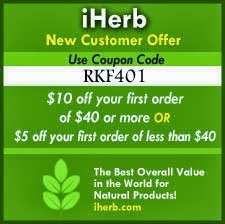 - Eat whole, unprocessed, natural food. I know it is easier said than done especially living in a society that value highly processed foods. 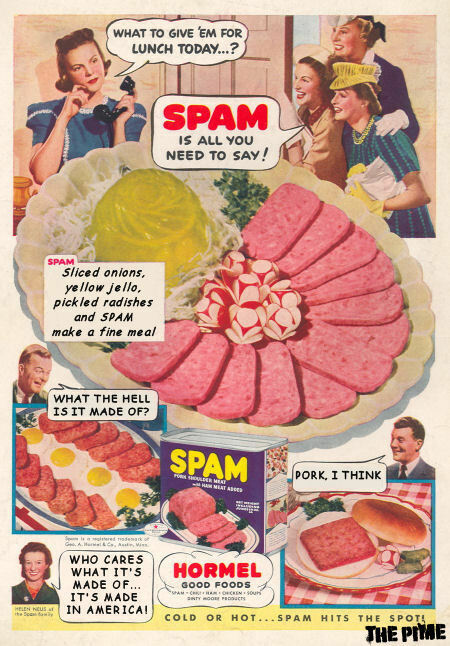 I used to eat SPAM quite often - to make our favorite SPAM musubi, pasta, baked macaroni, etc. But I'm making a conscious effort to not buy it anymore (unless someone makes it, I might be tempted to eat one. Sigh, my flesh is weak). Cooking sauces are the hardest for me to let go. Sweet/salty soy sauce, oyster sauce, ketchup, chili sauce, Japanese sauces (mirin, ponzu), BBQ sauce, teriyaki sauce, pasta sauce - these are staples in my kitchen and I don't know how to cook without them. My husband was so sad to find out that his favorite shabu-shabu peanut sauce contains MSG. I often rationalize that it is easier for Westerners to eat whole food because their cooking don't generally use processed sauces, but olive oil, butter, salt, pepper, and herbs (which I have to learn to enjoy, I'm used to eating food with lots of sauces). But there is no point to compare because I still need to take care of my body anyway. My family is not perfect but we are taking baby steps to cut down processed foods. May God gives us the grace and wisdom to enjoy food in its most natural form as He created them. 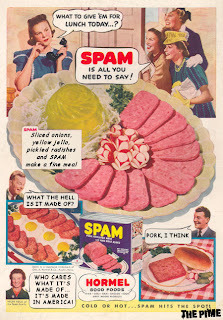 Why do you think our society has a hard time cutting down on processed food? Vickooo, I really enjoy and learn a lot from your posts. Thank you!